By Burt Olhiser, Vantage Point Consulting; and Ray Tombaugh, KTA-Tator, Inc.
As discussed in the first installment of this two-part article (Durability + Design, July-August, 2012), weaknesses in gypsum board finish systems often go unnoticed since very little stress is exerted on a wall after wall hangings are hung and left in place for many years. 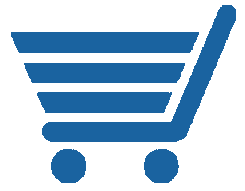 When weaknesses are noticed, the involved parties (painter and drywall firms) often point fingers at one another without much if any forensic investigation being done; so there is usually no resolution of the issues, and the parties go away frustrated. 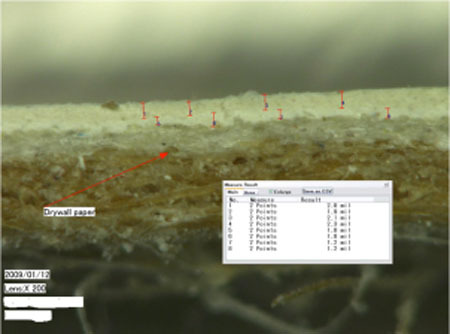 This case study of a drywall failure, however, details a thorough forensic investigation with a clear resolution that clarifies important points about good technical practice. It deals with a college dormitory, but it is not unique to this particular environment—the results are identical with findings on a number of other projects. The dorm rooms are ideal for a case study of this kind because a huge area is involved, on the order of 3 million square feet, and the walls are highly stressed as a result of use by the college students hanging posters, pictures and other items. Also, dormitories experience annual changes in inhabitants, resulting in wall hangings being frequently removed and replaced. At this particular dorm the staff had been successful in avoiding a lot of wall repair (holes) by requiring the students to hang things on the wall using only painters’ blue tape. However, in this case, after the first year of use, the new dormitory’s walls experienced an abundance of coating delaminations when the students moved out and removed the painters’ blue tape. My company, Vantage Point Consulting, was hired by the painting contractor to investigate the problem, and the coating consulting firm KTA-Tator, Inc. was also hired to investigate the problem by the prime contractor. Our joint findings are being presented here. The specification for the gypsum board assemblies, Section 09260, “Gypsum Board Assemblies,” requires that gypsum board meet the requirements of ASTM C840, “Application and Finishing of Gypsum Board” with a Level 4 Finish as defined by the Gypsum Association (GA) in its document GA-214 “Levels of Gypsum Board Finish.” A Level 4 finish is defined as (1) all tape (at joints and interior angles) embedded in joint compound and wiped with a joint knife leaving a thin film of joint compound over the surface and then (2) covered by two separate coats of joint compound. Accessories and fasteners are to be covered with three separate coats of joint compound. Submittals from the gypsum board contractor indicated that standard USG gypsum board was used in most areas, with the exception of structural walls, where Georgia Pacific’s Dens-Armor Plus (a paperless gypsum board panel with glass mat surfaces) was used. The product data sheet for the Dens Armor Plus indicates that it should be skim-coated with joint compound if glossy paints are used. USG Sheetrock Brand joint compounds were submitted. Specifically, Sheetrock Brand Topping Joint Compound, Ready Mixed and All-Purpose Joint Compound, were used. The Topping Compound is recommended for the second and third coat over the All-Purpose material. The product data sheet for the joint compound indicates that the material should be mixed without adding water for use in covering fasteners and corner beads. It can be thinned with water for use over joints at half-pint increments. The paint specification for the project required that the gypsum board surfaces be finished with one coat of “Universal Primer” and two coats of interior latex or acrylic latex paint. Submittals provided by the painting subcontractor indicated that Frazee Aqua Seal II, Interior Wall Sealer and Enamel Undercoater, would be used to prime the walls; and Frazee’s Lo-Glo Interior Acrylic Enamel was to be used for the two finish coats. The product data sheet for the Aqua Seal II indicates that each coat should be applied at 1.5 mils dry film thickness (DFT). The Lo-Glo was to be applied at 1.6 mils DFT per coat resulting in a final minimum DFT of 4.7 mils for the three-coat system. Visual assessments were performed both in painted rooms and unpainted rooms that had been finished with joint compound and were ready to receive paint. Adhesion was assessed in accordance with ASTM D3359, “Standard Test Methods for Measuring Adhesion by Tape Test,” which involves making an X-scribe in the paint film. An adhesive tape (Permacel 99) is then applied to the scribe and rapidly removed from the surface. Adhesion is rated according to the amount of coating removed by the tape on a scale of 0A to 5A, with 5A being best. In addition to the D3359 tests, a long piece (six to ten feet) of painters’ blue tape was placed across the painted walls and then removed, resulting in exposure of the drywall substrate where weak layers were present. This test replicated the stresses that led to the original coating delaminations in the dorm rooms. A general walk-through of the entire project showed that, while there were only a few existing delaminations, ASTM D3359 adhesion tests conducted at all areas with joint compound resulted in poor adhesion, a rating of 0A. Later testing found that this failure occurred within the joint compound layer, i.e., it was a cohesive failure in the joint compound layer and not a paint failure. In about 50% of the tests, gypsum board paper was removed along with the paint when painters’ blue tape was removed from areas where paint was applied directly to gypsum board. When the joint compound was examined, both where coating had been removed and in areas where the coating had not been applied, it was very friable, so that when it was rubbed lightly with a finger, a chalky particulate was released. Continued light rubbing resulted in complete removal of the joint compound after only a few rubs. In the KTA laboratory, test panels were prepared by applying the two joint compound materials, USG Sheetrock All-Purpose Joint Compound and USG Sheetrock Topping Compound, to gypsum board panels. Panels were prepared using both thinned and unthinned joint compound. Thinning was performed with water at 2%, 8% and 20% prior to application. Thinning at 2% represents the manufacturer’s recommended thinning rate. Thinning at 8% and 20% was estimated by some to be the rate actually used on the project. The joint compound was allowed to dry for 24 hours. After 24 hours the panels were tested for integrity by rubbing with a bare hand. There was little particulate release from the joint compound that was unthinned or thinned at 2%. However, the joint compound that was thinned at 8% and 20% was very friable and released a significant amount of particulate, which later analysis showed was calcium carbonate and gypsum, the primary pigments in drywall muds. At the conclusion of the integrity assessments, the panels were painted with the specified coating system, a prime coat of Frazee Aqua Seal II and two finish coats of Frazee Lo-Glo Interior Acrylic Enamel. After three to five days of storage at laboratory conditions (70 F and 50% relative humidity) the panels were tested for adhesion, with the following results. • ASTM D3359 adhesion tests using the required Permacel tape, Painters’ Blue Tape and Painters’ Purple Tape (a less sticky masking tape) all resulted in poor adhesion—0A. • Adhesion tests conducted with the Painters’ Blue Tape and Painters’ Purple Tape, but without making an x-scribe, resulted in no failures. 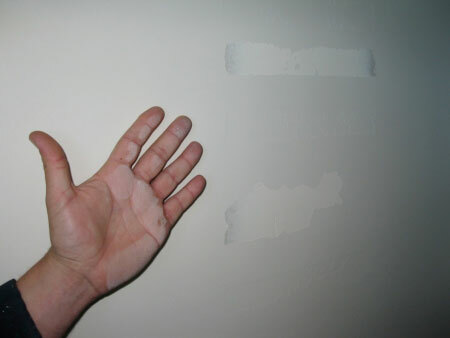 Two unpainted panels of gypsum board and joint compound, removed from the walls at the university, were also assessed for integrity by rubbing with a bare hand. There was a significant amount of particulate released. • ASTM D3359 adhesion tests using the required Permacel tape, Painters’ Blue Tape and Painters’ Purple Tape (a less sticky masking tape) all resulted in poor adhesion, 0A. • Adhesion tests conducted with the Painters’ Blue Tape and Painters’ Purple Tape, but without making an x-scribe, all resulted in failure. Extractions were performed on samples of the uncoated joint compound that was removed from the wall panels originally installed in the student housing, the unthinned joint compound direct from the container, and the joint compound that was thinned at 8% and 20%. The extract was then analyzed to determine the amount of binder (PVA) present. The following are the results of that testing. • The percentage of binder in the sample of joint compound removed from the container was 3%. 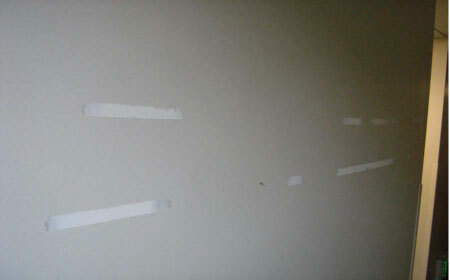 • The percentage of binder in the sample of joint compound removed from the unpainted wall was 1%. • The percentage of binder in the samples of joint compound thinned at 8% was between 1.2% and 2.5%. • The percentage of binder in the samples of joint compound thinned at 20% was between 0.8% and 1.5%. While standard paint adhesion tests (ASTM D3359) all resulted in failure when performed on the laboratory samples, modified adhesion tests, designed to replicate the removal of painters’ masking tape, resulted in no failures. These modified laboratory adhesion test results are completely contradictory to the same testing performed in the field. As reported above, field testing, involving the removal of painters tape from a painted wall, resulted in failure whereever joint compound was present. Similarly, when testing was performed on wall panels that were removed from the site and shipped to the laboratory (where paint was applied), failures also occurred upon the removal of blue tape. Most importantly, identical tests performed with purple masking tape, a less adhesive form of masking tape, also resulted in failure. Clearly, the joint compound applied in the field was inferior to the joint compound applied in the laboratory. Chemical analysis of the laboratory-applied joint compound (both the USG products reported to have been used on site) and the field-applied joint compound showed that there was significantly less binder (one-third) in the field applied material. Analysis showed that the field- applied joint compound contained approximately 1% binder while the laboratory-applied, unthinned, joint compound contained approximately 3% binder. The polyvinyl acetate (PVA) binder in the joint compound formulation is the glue that holds the film together. While joint compounds are specifically formulated with low binder concentrations so that they can be easily sanded, binder concentrations of 1% are too low to provide the integrity necessary to achieve a sound wall system. It is important to note is that there was a definite correlation between thinning and the level of binder found in the applied material. While the correlation is not identical from product to product, when joint compound is thinned, the amount of binder in the dried film is reduced. Based on the laboratory testing, it is highly likely that the joint compound applied to the walls at the student housing was thinned at a rate between 8% and 20%. At this rate of thinning, a friable joint compound layer is formed. One other possible cause of the failures would be the use of a sub-standard joint compound with low binder concentrations. Chemical analysis (x-ray diffraction) determined the joint compound removed from the walls of the facility was consistent in formulation with the Sheetrock® All-Purpose Joint Compound and Topping Compound. So the use of a sub-standard joint compound rather than the specified products was ruled out as a cause of the failure. A commonly reported cause of paint failure on gypsum board is the failure of the painter to remove joint compound dust. But this was also ruled out as the cause of the failures at the student housing. Test panels that had paint applied directly over dusty surfaces showed no reduction in paint adhesion when compared to those panels where paint was applied over surfaces that had been cleaned and the dust removed. Furthermore, it is important to note that the paint application was not the cause of the poor joint compound integrity. The laboratory testing showed that the joint compound was friable before the paint was applied. The difference in the integrity between the field-applied joint compound and the laboratory-applied joint compound was extremely obvious. Finally, the application of highly thinned joint compound may also be the cause of the high frequency of failures when painters’ blue masking tape is removed from areas where joint compound has not been applied. 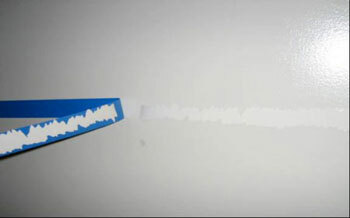 Exposure to moisture from the overly thinned joint compound may weaken the gypsum board paper, resulting in failure when blue tape is removed. At the conclusion of the testing, a report was written and distributed to the contractors involved. As in the past, finger pointing began and the drywall contractor blamed the painter for not applying a proper primer and for not applying enough paint. A second round of laboratory testing was performed. Ten core samples were removed at random locations from the dormitory walls. Cross-sectional microscopic examinations were performed on each of the painted panels to determine the number of coats and the thickness of each coat that was applied to the wall. Primer and finish coats were found on each of the core samples. Primer thicknesses ranged from 0.7 to 2 mils. Finish coat thickness ranged from 0.6 to 4.8 mils with most of the readings ranging between 1.3 and 2.0 mils. Samples of the topcoat and the paint next to the joint compound were removed from the panels, analyzed by infrared spectroscopy, and compared against infrared analyses of the control samples (tinted Lo-Glo, tinted MirroGlide and AquaSeal II) in order to determine the identity of the paint applied to the walls. The analysis determined that the submitted paints were used. 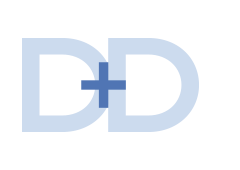 It is important to note that when microscopic methods are used to evaluate dry film thickness, the results are only valid for the specific location being measured. That is, the thickness may vary (higher or lower) between the point selected for analysis and the coating located an inch or more away. One additional point that must be considered when evaluating the acceptability of wall coating thickness measurements is the function of wall coatings. In industrial applications dry film thickness requirements are established to assure that coating systems will provide corrosion protection. Specific thicknesses are required to achieve this goal. Experts will argue that DFT compliance in interior wall coatings is a bit less important since the main purpose for these coatings is aesthetics. As long as there are no shadows or bleed through of the underlying surface, the application can be considered acceptable when dry film thicknesses are less than the specified thicknesses. Four out of the eight panels (50%) were compliant with the required film thickness. The remaining four panels were non-compliant, but there was no evidence that the thin films affected the aesthetic qualities (shadows or bleed through) of the coating. Also, and to settle this question about the suitability of film thickness, a much larger DFT sampling was done (over 20,000 readings) using a Positector 200 ultrasound gage that confirmed the average DFT range for the coating system was 3.5 to 4.7 mils. Resin content analysis was performed on joint compound scrapings from the two uncoated panels and from the remaining eight coated panels. The resin content of the unpainted samples was measured at 1.2% and 0.9%, respectively. These values are generally consistent with the resin content measurements on two other unpainted panels (1.2% and 1.3%). These concentrations are about one-third the resin concentration of unthinned joint compound. At these low resin concentrations, the joint compound has undergone a significant reduction in integrity and will fail when painters’ blue tape is removed from the surface. Of course, it was desirable to develop a remediation method that would avoid removal of the wall system. A series of on-site testing was performed using various materials and methods The acceptance criteria was to produce a wall system that would resist the removal of painters’ blue tape. The first round of testing involved the application of waterborne and oil based interior wall primer/sealers to the painted walls in an attempt to strengthen the wall system after perforating the substrate. 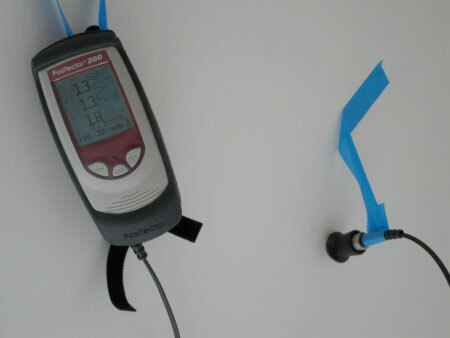 These test patches showed that wall system integrity improved (based on blue tape adhesion tests) when these primer/sealers were applied with or without perforating the drywall. Blue tape adhesion tests performed on painted walls prior to application of the primer/sealers resulted in failure at all of the areas. However, after the primer/sealers and finish coat were applied over the paint and allowed to cure, identical blue tape tests resulted in an 85 to 90 percent decrease in incidence of failures. The authors believe that the improved integrity is likely the result of a shell-like membrane that forms over the surface of the wall when the primer/sealer is applied. The membrane distributes the stresses that are applied to the wall (during tape removal) rather than their being concentrated directly beneath the tape in the joint compound. However, the lab found no evidence that the primer/sealer penetrated through the original coating system and bound up the friable joint compound. The formation of a membrane to add strength to the paint by creating a “shell” is not as desirable as if the primer penetrated the film to firm up the substrate. Without such penetration, the fragile joint compound still remains behind the coating. Due to field thinning of drywall mud, Level 4 and 5 (smooth-wall) drywall systems can fail to support subsequent coats of paint when relatively low tensile forces are applied, such as when blue painters’ tapes are used for masking or other purpose. This failure is not due to the paint but instead is occurring cohesively in the underlying drywall compound. The only thing a paint may provide is some buffering of this energy when paint film builds exceed 6.0 mils DFT, as these do appear to lessen this incidence but do not eliminate it. The authors recommend that further study be done to try to determine a test method that could be used to ascertain the suitability of applying paints to a drywall surface. The simplest would be to grade the chalkiness of the surface akin to what is done for exterior paints per ASTM Method 4214, Standard Test Methods for Evaluating the Degree of Chalking of Exterior Paint Films. Until such test methods are created or adopted, or other system remedies are made, we would recommend that painting contractors take a common sense approach to the issue by doing the following: rub your hand over the finished joints and especially along in and outside corners. If the dried drywall mud comes off as a light to heavy dusting that won’t cease, then the painting contractor should provide a disclaimer about the strength of the adhesion of applied coatings to the Owner, because no paint will glue down this weak substrate. Has anyone tried Gardz over the joint compound? Gards is a penetrating primer sealer that seems to set up a very strong surface on bare gypsum, plaster with or without sapofacation, chalky plaster and torn (sanded smooth) sheetrock. I would add that the surface must be free of dust. 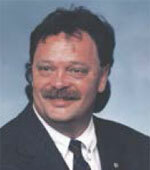 Hello, I have been a drywall finisher for 20yrs, main focus residential. I have not experienced the blue tape issue of pulling off the top layer of drywall mud. I have seen this happen with fresh paint. However for level 5 smooth wall finishes this is what we have done. We use USG or Hamilton Mud. We set our tape with All Purpose joint compound. Then we coat with USG Plus 3 joint compound 3 coats for smooth wall. The Final skim coat we use the 'Tuff Hide' product this is their quote about it. "SHEETROCK TUFF-HIDE primer-surfacer produces an affordable Level-5 wallboard finish with an enhanced formulation that delivers whiter and smoother results than drywall primer. It applies quickly and evenly with professional airless spray equipment and generally does not require sanding. We Never use the 'Topping' compounds as personally I don't like the results, prefer to use plus 3 for the top coats as it applies well and sands well. The Tuff Hide we find after applying, then doing a final check for any flaws with lights will leave a great finished product. We have some great painters in our area that have never had a problem such as mentioned above. Even before the tuff hide application you cannot rub off the drywall top layer like shown here. Could be dust on wall, however never had that issue in 20 yrs. This is what we do, it works, no problems. We even have had no issues with the more inexperienced or cheap / poor painting companies in our area as far as the top coats of drywall mud pealing. This is what we do for a successful finish that lasts. The primer’s vinyl-acrylic, latex-based coating provides increased resistance to surface abrasion. The result is an ultra high-end look that can be painted after drying overnight (it can be left unpainted in ceiling applications where a flat, white finish is desired)." Just a note, on several commercial jobs we have done, I have noticed that the painter had thinned his paint down, his primer and what he called 2 coats actually resembled just a normal primer coat, put on to light. I find that the Cheaper the bid to get the work by paint or drywall firms leads to cutting costs in labor or products that will leave a professional job done. 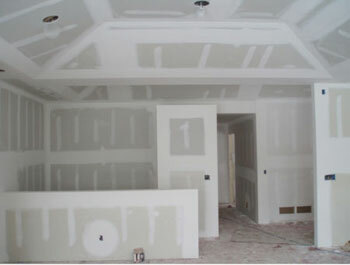 As Drywall finishers we leave the canvas for the painters to paint. We do a good job, they have a wonderful canvas to pain on. In today's environment too many cheap labor & inexperienced labor leads to poor quality work. So have well trained labor helps, but using products designed to create a hard & beautiful finish like on level 5 smooth, such as 'Tuff Hide' or other similar product I find save time even though some don't want the added expense, I find use a great product saves having to Fix, return to the job sites in the future. Just my experience with USG & Hamilton products. Oh by using the 'Tuff Hide' it can be the base or primer coat so the painter won't need to prime before he paints, so the overall cost to the client balances out between the 2 trades. If thinning down the JC reduces the binder ratio to the point where adhesion is compromised, wouldn't it make sense to add a PVA/Acrylic admixture to the water as it is thinned down? Say a cup of binder to a gallon of water (16 to 1 ratio). An old-fashioned way to do that was to drill in 1/2 tube of acrylic caulk to a 5 gallon pail but Acryl 60 is easier and cheaper. Hello,I have been in the drywall finishing business for 18 years and onlyhad one problem like you described in your article. I finished the drywall in a very large house, it was taped with USG med mud, textured with Murco med mud and there were a few patches done with USG easy sand.Four weeks later blue tape was appliedto do some decorating and when removed, lifted paint , primer and a thin coat of both texture & taping mud and also a thin layer of easy sand.All three compounds were chalky after the paint was removed. a garage that was not painted but texyured & taped was not chalky. At the homeowners requesta very expensive primer was used in this house, and was then top coated with a satin latex enamel, there were numerous colors used, some of which required deep tints. I have used Murco HiSolids drywall primer on all my level 4 & 5 work for years and have never had such a problem, so we applied the Murco HiSolids primer in the garage and in 2 days it was hard and could not be lifted by the blue tape, someone then suggested that the paint was not cured after 4 weeks, so the builder opened the house up so air could flow and in 2 days all walls were hard. I believe this is a paint curing problem. Just read the article in D&D, great job writing and explaining the process.Two things, 1. I agree with the comment about the presence of dust on the wall, the small amount that is there does not interfere with adhesion of paint. 2. I agree with the previous comment from SS about using Gardz as a sealer that also gives a very hard surface. 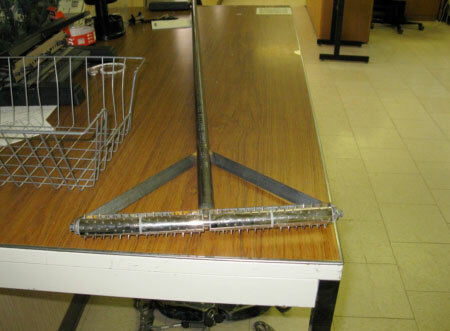 It is a penetrating primer (very thin consistancy) that would even find its way in the holes put in the drywall painted surface by the torture tool (Figure 7) devised by someone. Then another coat of primer and paint would solve the problem. I have been painting and applying wall coatings and wallpaper for over 30 yrs. sorry for changing the subject,but has anyone had any experience with the new ultralight drywall product ?